The Whigville Grange Fair was held on Aug. 25. We had more people entering than in recent years! Food was available and live music provided by member Kodylynn. 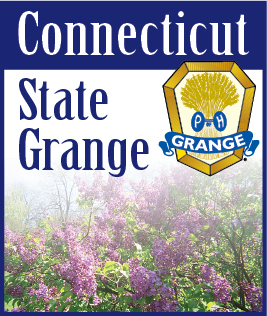 On Sept. 16th the Grange participated in Tavern Day in Burlington. Our booth sold fresh baked apple, peach and blueberry pies, and other baked goodies. The pies were from scratch, a tradition our Grange has been doing for our fair and tavern day for the past several years. Next event? On Oct. 28th the Whigville Grange will be a busy place. The Burlington Land Trust race will start and finish at the Grange. The Whigville Preservation Group will host the Whigville harvest fest, complete with entertainment, silent auction, tractors, and children’s activities. This wonderful group has become a great friend of our Grange, helping in many ways. Please stop in and support this event in the beautiful Whigville section of Burlington. After our Oct. meeting, we will meet at town hall for the winter!